Do you simply work in veterinary science, or could you make veterinary science work for you? There are key people from every part of the veterinary profession who just seem to get it right, who have conquered the elusive “balance”. How do they do it? How do they stay motivated and passionate in an industry that is plagued with burnout and fatigue. In the Vet Vault we dive deep with some of the most inspiring and energised vets from around the world to unlock the tips, tools and inspiration for making veterinary science work for you. Gerardo and Hubert are on a mission to unstitch the veterinary profession and all of it’s quirks in this provoking, stimulating and entertaining podcast. The Vet Vault is a space where we talk to high performing individuals from varying niches of the veterinary profession who have found ways to thrive in their careers and make veterinary science work for them. From cutting edge specialists to inspired new graduates - we unlock knowledge and passion through open and honest conversations to reveal the thoughts, beliefs and habits that will launch your veterinary career sky high. Each guest brings with them unique insights. Our conversations cover important topics like mindset, confidence and competence, career pathways, mental health, wellness, resilience, thought patterns, dealing with fear and uncertainty and having the right values, goals and attitude to succeed. Regardless where you are in your career, you’re bound to uncover something useful in each episode. We sure did. In today’s episode we chat to a vet who in her relatively short career has managed to encourage and inspire tens of thousands of vets through her popular veterinary instagram account, @louisa_the_vet. You can't help but love her infectious enthusiasm. In our first episode we take 30 minutes to talk to each other so you can get to know your hosts a bit better and find out what our podcast is all about. 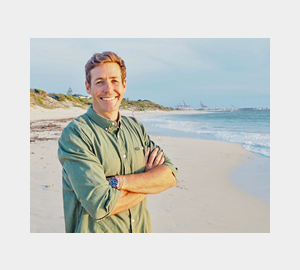 Hubert is a veterinarian and owner of an emergency clinic in Perth, Western Australia. He qualified in 2002 in South Africa and has worked in practice within 3 continents over his 20 year career. In this time he has personally experienced and witnessed in friends and colleagues how the challenges of a career in veterinary science can affect even the strongest of people. It has become his quest to discover how to build a balanced and fulfilled life armed with a degree in veterinary science and a good attitude. 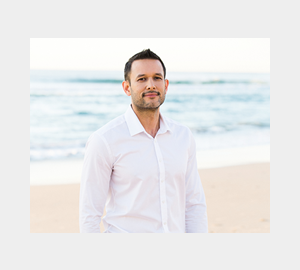 Hubert divides his time between clinical and leadership roles at his busy practice, raising three wild boys, and researching, writing, mentoring and, now, podcasting about non-clinical skills in veterinary science. Gerardo is an emergency Veterinarian and Director at Animal Emergency Service in Brisbane Australia. He is dedicated to helping and inspiring vet students and veterinarians around the world by sharing his passion and knowledge. He is an inspiring public speaker and public figure with a dedicated online following. Gerardo is also the author of the world renowned MiniVet Guide and other educational resources. He hopes though his work he can help to advance veterinary standards, make the lives of vets a little easier and inspire the next generation of veterinary professionals to dream big and achieve the best. When not in the hospital, you can find him at the gym or fundraising for his charity Rebuild Hope Nepal. We would love to hear what you think of each episode, what resonated with you, what advice will you take away from the guest, do you have a topic you would love us to cover? Follow us on instagram to unlock the best of the Vet Vault.